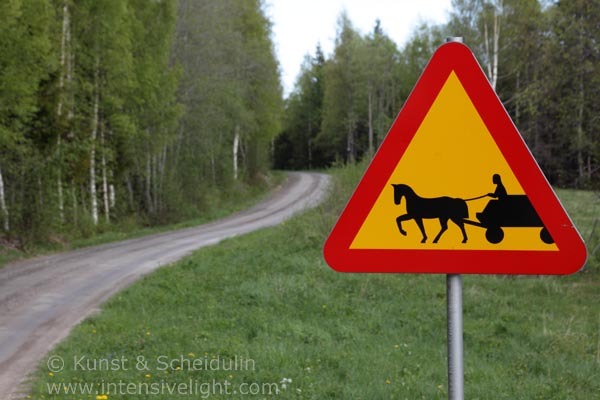 This sign warning of horse-drawn carriages can be found in Nordingrå at the Swedish High Coast. It's a peaceful undulating landscape: small villages, fields and forests interwoven into an intricate pattern close to the coast of the Baltic Sea. 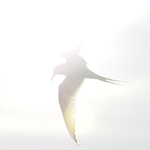 This entry was posted on Monday, June 18th, 2012 at 9:41 am. 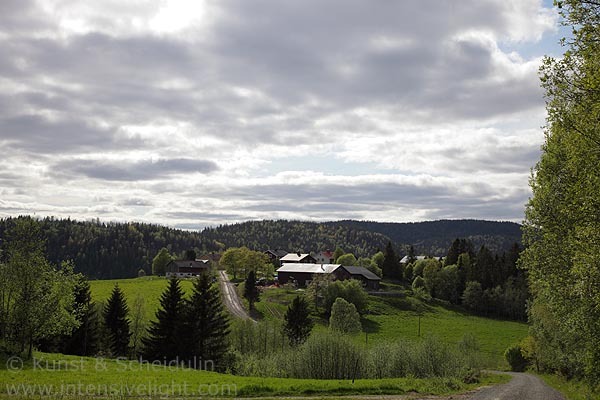 It is filed under Landscape, New Images and tagged with acre, acres, agricultural, agriculture, bright, carriage, cart, clouds, cloudy, country, country lane, countryside, ecology, environment, Europe, exterior, farm, farm houses, field, fields, forest, gravel, green, horse, horse and cart, horse-drawn, horse-drawn vehicle, horse-drawn vehicles, house, houses, Kunst & Scheidulin, landscape, lane, light, meadow, meadows, nature, nature photography, old-fashioned, Outdoors, pastoral, peaceful, red, road, road sign, road signs, scandinavia, Scandinavian photojournalist, Scenic, season, sign, signs, sky, slow, small-scale, spring, springtime, sunny, sunshine, sweden, tractor, traditional, traffic sign, traffic signs, tranquil, Tranquility, travel photography, tree, trees, undulate, village, warning, wood, yellow. You can follow any responses to this entry through the RSS 2.0 feed.